Extra senior day launching this summer! Great news for our senior anglers, In addition to our popular ‘Senior Tuesday’ we are now adding a ‘Senior Thursday’ for the rest of the season. On these days anglers over 65 can take a 2 man boat for £19 or a single man boat for £14. Our 6 fish and c&r senior permit can be purchased 7 days a week. Enjoy the last hours of the day from the bank or a boat this Summer! Win a 2018 Gold Season Ticket in our 40 tagged fish competition. The top of Rutland Water’s North arm has produced some quality rainbows up to 5lb this week to both bank and boat. Dries have been the preferred method here with CDC in various guises and Bobs bits accounting for the majority of fish. These fish can be found in shallow water of 2 feet (or less!) and it is important to be as quiet and inconspicuous as possible with many coming blind to take the dries and proceed to empty backing off the spool. Retail team member Dave Summers enjoyed a change from competition angling and had a pleasure day down the North Arm with Al Owen. Although not easy they both enjoyed targeting rising fish on dries with the pick of the bunch a mint 4lb plus specimen for Dave falling to a size 14 dry on the 5 weight. Both Burley Reaches and Tim Appleton’s are holding fish, particularly of an evening. This type of fishing lends itself perfectly to the recently introduced ticket offer of £10 for the last 5 hours of the day – 1 fish limit + c and r.
Despite the hot weather good Browns are still showing with holidaying angler Paul Clydesdale weighing and releasing a 7lb 8oz specimen from the South Arm and 3 over 4lb recorded in the EFFA vs. RAF match held on Thursday. Food items on the trout’s menu are varying from daphnia, small light olive buzzer, shrimp, corixa, and this years fry – some of which some are already 1-1/2 roach to 2 inch perch already. The main basin has been providing sport to anglers fishing midge tip lines with booby/blobs on the point and nymphs in the form of diawl bach, crunchers, cormorants and hares ear being the most successful combination. The fish have generally been taken in the top 3 feet of water with a fast glass/di3 sweep working on more windy days. A feature of fishing the nymphs is less is more – a very slow/almost static retrieve has been the order of the day. Down the Normanton bank the blue pipes to Fantasy Island has been the most consistent and also drifts taken from the tower. These fish have not all been coming in open water though, a number of boats have reported taking fish within range of bank anglers so on the right wind Normanton bank is well worth a shot. A lot of fish can be seen on this year’s pin fry along the margins but are proving tricky to tempt, a lot of patience being the order of the day! Bill Coppin and Alan Ward had a couple of days quality bank sport last week, a lot of fish moving greeted them on arrival at Stocky bay and dries and hares ear accounted for a number of fish for the pair. Shrimp have been seen in the fish this week in particular from the areas mentioned above, the hard substratum of these banks means they provide ideal habitat for all Gammarus species. 15 anglers went out with seven managing fish, top rod was Keith Jones with a very creditable six fish, second was Rich Cooper with three fish, and third Mick Bennett with three fish. Best fish, and boat winner was Lincs angler Neil Squires with a 2lb 11oz rainbow. The free mid -week boat winner has been shared by seven different people so far, with Rich Cooper the only one to have won the prize twice. Rutland Water hosted the English Fly Fishing Association vs. the RAF match on Thursday. Despite a ‘challenging’ day of practice on the Wednesday the 34 anglers achieved a rod average of 4.2 on match day with the reservoir really switching on. The RAF recorded 83 fish to EFFA’s 65, giving them a total weight of 173lb 10oz compared to 163lb 1oz for EFFA. In addition to our popular ‘Senior Tuesday’ we are now adding a ‘Senior Thursday’ for the rest of the season. On these days anglers over 65 can take a 2 man boat for £19 or a single man boat for £14. Our 6 fish and c&r senior permit can be purchased 7 days a week. Best Brown 4lb 12oz taken by D Ayre . Best boat areas Main basin, Fantasy/Normanton bank, Tower North Arm, Burley Reaches – Tim Appletons. Best bank areas Finches, Normanton (pin fry), Burley, Tim Appletons, East Creek. Best methods Midge tip to fast glass (boobies, blobs and diawl bach, crunchers, cormorants). Floating line, crunchers, diawl bach, hares ear. Bank dries, cdc and Bobs Bits. Mid week boat winner M Riches of Melksham. 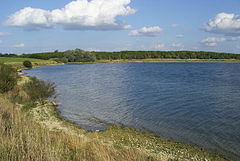 Rutland Water 40th Anniversary Fishing Weekend 15 & 16 July. Grab yourself a couple of days fishing at reduced prices along with the chance of winning a Gold season ticket. Beginners courses 16 & 22 July; 6,12 & 27 August;10,16 & 24 September and other dates throughout the season. Some fantastic fishing is available at Grafham as the fish start to feed more readily. Shrimp, snail and fry are the more common food items and all are found in or along the side of the weedbeds. The rod average stands at a respectable 3.58. Some top catches this week including a cracking 4lb Rainbow for Hannah Winser. However, the best Rainbow of the week was caught by Adrian Look who landed a superb 5lb specimen. Some good Browns are still showing themselves with Bill Wiltshire landing a lovely 4lb 8oz Brown. The biggest fish of the week was a colossal 5lb 8oz Brown caught by Barry Sheddon. Boat angling continues to see anglers concentrating their fishing just off the weed beds and drifting into open water. Areas such as Hill Farm, West Bank, Pylon Point and Rectory Bay have started to fish better as the shrimp become more active. It’s worth starting over towards Rainbow Point and drifting towards M Buoy through to F Buoy, particularly on the westerly winds. Bobs, boobies, snakes and tubes are catching well, though some fish are still being tempted to buzzer and diawl back deep down. The majority of fish however, are still being taken in the first 5 feet of water with successful lines being floating, midge tips and slow glass. Dries are also being taken readily, particularly in open water you may even see the damsels being supped up in the bigger weedbeds, so bear this in mind for your next trip. The banks are fishing much the same as the boats (make sure you bring your waders with you). Shrimp are likely to be the best flies to use over the coming weeks, along with fry imitations, though do not ignore the use of lures and dries. Snails are also worth a go at this time of year, particularly as they drift from weed bed to weed bed looking for habitat and food. The trout will take this opportunity to fill up on them so try letting your snail patterns drift on the current from one bed to the next, you may be surprised. With the shrimp returning to the margins please remember the importance of using the wash down facilities at the end of all sessions. It’s essential that all anglers ensure that all equipment and clothing is checked, cleaned and dried. Up to 30% off the marked price across our Rods, reels and clothing ranges! Get in quick as the sale ends 31 August. 24 anglers fished this match in tough conditions to land a total of 64 fish. 3rd Alice Davies & Enid Edwards 11 fish for 21lb 11oz. Best Rainbow 5lb taken by Barry Sheddon. Best Brown 5lb 8oz taken by Adrian Lock. Best boat areas Rainbow Point, the Seat, the Dam, open water drifting (particularly west side of the reservoir), Pylon Point, Deep Water Point, Hill Farm. Best bank areas Pylon Point, Deep Water Point, Hill Farm, North Dam and the bowl. Mid week boat winner Hannah Winser of Perry. Beginners courses 21,28 & 30 July; 5,11,20 & 26 August; 17,23 & 27 September and other dates throughout the season. Bob Collins bank fished the Sermans, Holly Bush area and enjoyed several good morning sessions fishing foam daddies and hares ear patterns around the weed. George Hackett had three cracking fish on Friday in the small half. These fish were feeding on damsel nymphs and two fish were around 4lb. There are plenty of shrimp feeding fish along the Cliffs and Gravel Bank and these can be tempted with hares ear patterns fished in the margins. Conditions have made fishing a bit frustrating this week with low water and hot, windless days. However this is set to improve with rain forecast! The rod average for the week has been 2.9 but with another stocking of 2,000 fish next week and cooler conditions fishing will soon pick up. Despite the weather there are some cracking fish in the margins and around the weedbeds feeding on snail, shrimp and pin fry. Best Brown 3lb 7oz taken by Mr Cooper. Mid week boat winner Terry Pancoust. Beginners courses 15 & 29 July; 13,18 and 24 August; 9,15,20 & 30 September and other dates throughout the season. Another busy, sometimes frustrating, week on the water for most anglers with fish being preoccupied with the thousands of damsel flies. Jamie Blaney, this week’s mid week boat winner, took 9 fish from the bank on Saturday morning. Jamie fished dry fly patterns, mainly cdc hares ear. Boat anglers are catching on big reds, claret emergers and olive emergers. Dry fly has been the best method. Coton End has been the best area for both bank and boat anglers. Best boat areas Coton End. Best methods Dries, washing line, fish in top 18 inches of water. Mid week boat winner Jamie Blaney of Kingsthorpe.